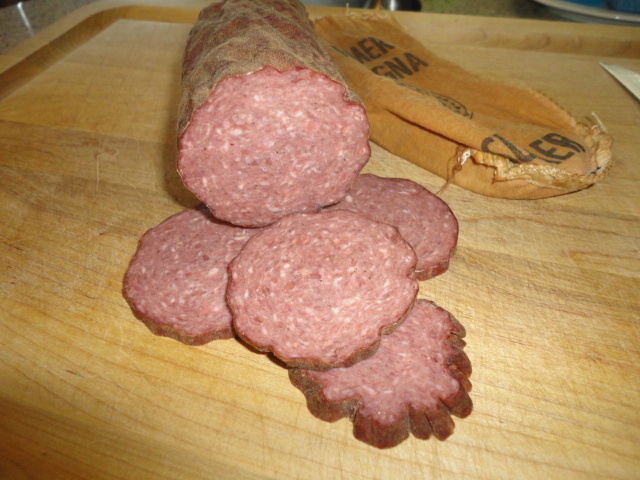 Since i was 15 growing up on the farm i have made my own jerky, cured & smoked sausage, fresh sausage and dry cured. 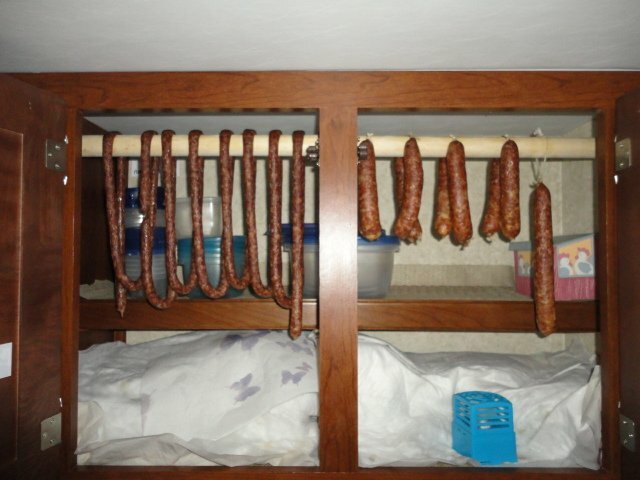 When we went full time i had to re think my sausage making to smaller batches. Kept my stuffer and grinder and now only do 5-10lb batches. Also had to come up with a dry cure fridge so i'm using a wine cooler for dry cure. 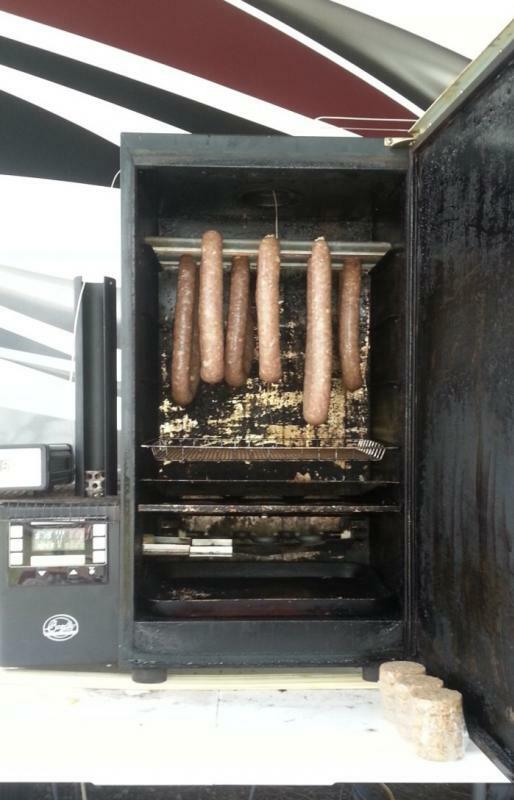 My smoker is a Bradley smoker for smoked sausages. 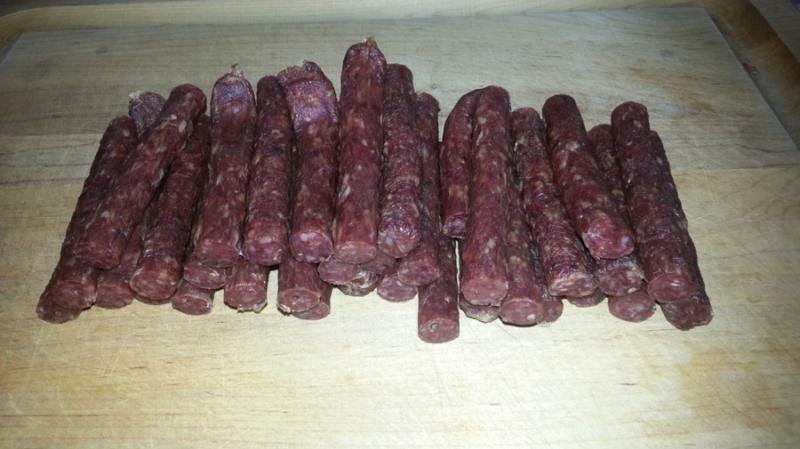 Dry cured salami slim jims. 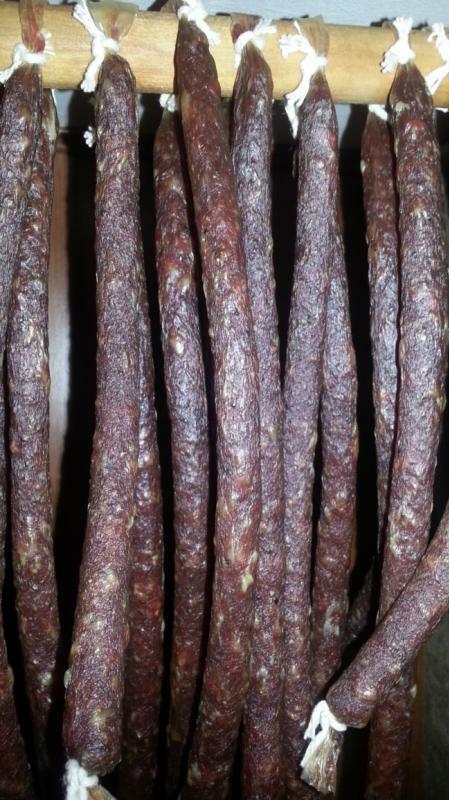 Hanging now is dry cured chinese lop chong. 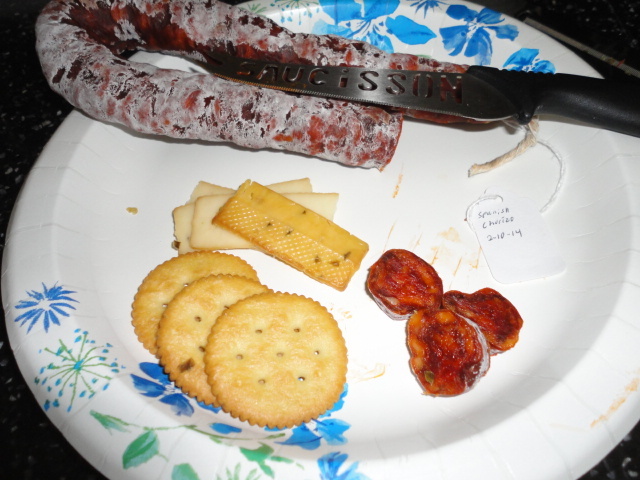 Dry cured spanish chorizo was done in Feb, just now eating with some apple smoked pepper jack. I have not eaten dinner yet, Quite hugely now seeing food that schmeks!! I am half Mennonite/ Polish and live in Waterloo County Ontario, ancestors from Lancaster, PE. 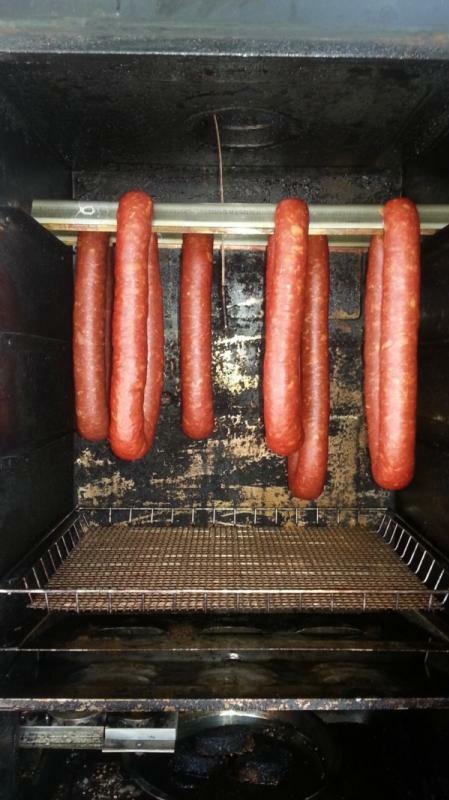 I too have a Bradley smoker looking forward to some sausage making soon. I have a Bradley also, does a pretty good job, mind you I just tinker more or less. 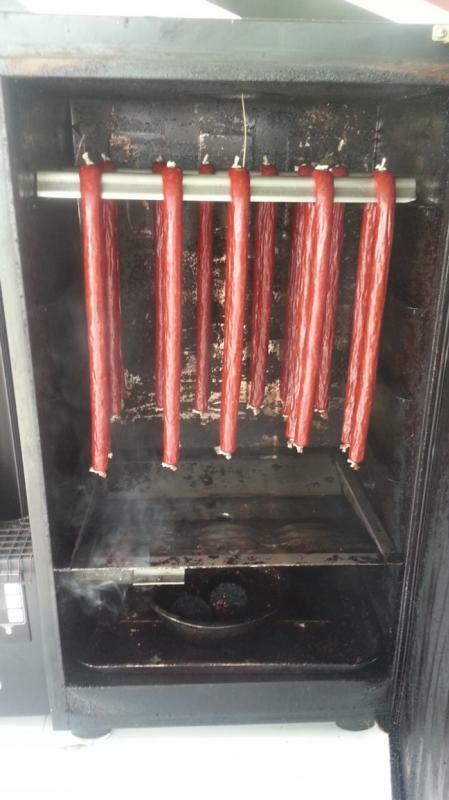 What kind or brand of smoker and I am assuming this would work with pork ,beef ,deer? Went back and reread so the question is where can I find one like this looks like maybe charcoal used? Bradley Smoker. Designed for Cold Smoking salmon originally by Canadians in BC. It uses wood bisquttes that were heated on an electric element. There is another element in their back for cooking while smoking as well. 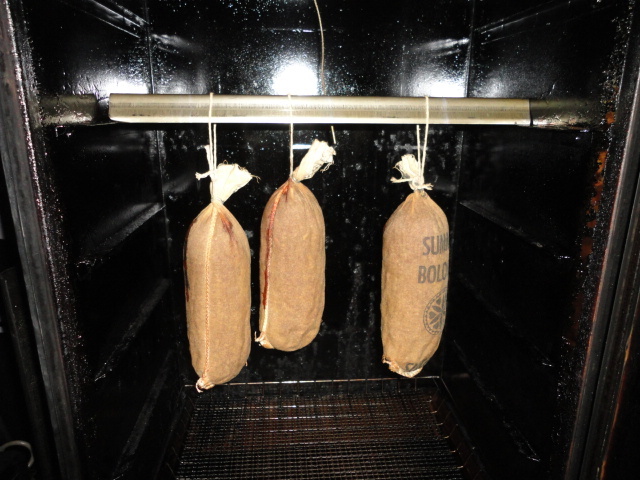 I have done pork and beef in mine so far. You may have to go with a Brinkman charcoal or if you want to sped a few well worth it $ you can get a weber smokey mountain that uses charcoal, its a workhorse.